Practical tips and tactics for small membership organizations on how to manage membership renewal. If you are looking for ideas to refresh your membership renewal process, you’re not alone! We get questions about renewals from small to large-sized organizations all the time. So, with access to thousands of organization across North America, we decided to conduct an extensive survey on their renewal practices. We combined the results from that survey to research conducted by the Membership Marketing Benchmarking Report (published by Marketing General Incorporated) and other sources to create this helpful guide. 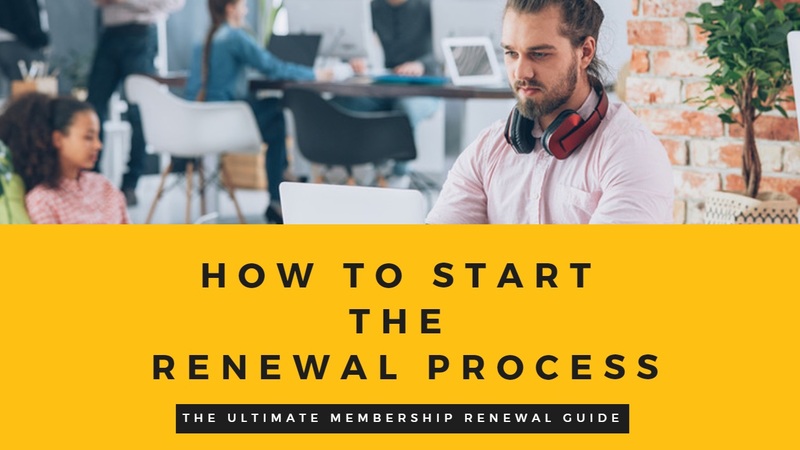 By the end of this guide, you’ll be ready to create your own successful renewal process. Respondents were predominantly membership organizations with 250 to 2,000 members. You can see the full results from our survey here. Look at previous renewal data: When did you receive the most renewals? For example, did most members renew right away after you sent the first notice? If so, I’d say your timing is working. 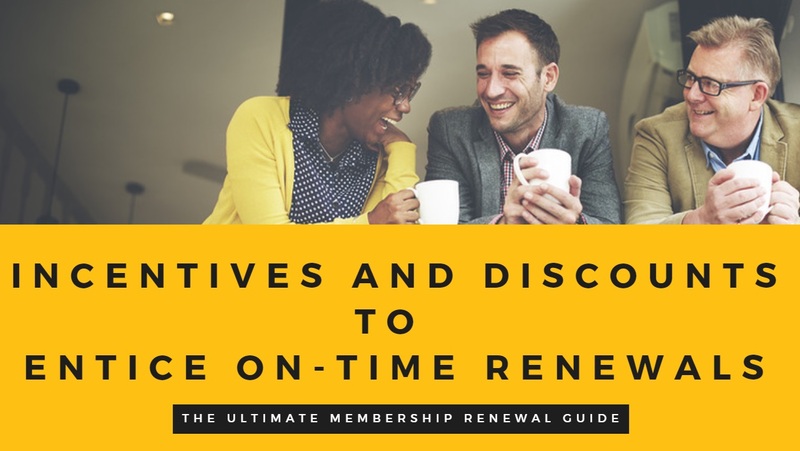 If you are on a static/annual renewal schedule and are finding members are taking 1-2 months to renew, perhaps you need to start the renewal process earlier. Consider conducting an online survey: if you think it’s time to ask your members their preference you can use an online survey. You can offer this up through your website, via email, or on your Facebook page. Take a longer view: if, like some of the respondents to our survey, you are simply sending out invoices or notices just prior to the membership expiration date, consider creating an on-going year-round “membership connection campaign.” I’ve included more information on this type of campaign in another section titled “Engagement & Retention” at the end of this guide. Regardless of when you start the renewal process, one thing is clear – be sure your membership database is up-to-date. After all, an organization's credibility and attention to detail is on display when members receive their renewal notices. If you are maintaining a manually updated member list, be sure all revisions have been made and consider asking members to update their information online if that is possible. At Wild Apricot, we recommend moving to an online system where member records are updating automatically. That’s one of the main reasons we created our membership management software in the first place — to save time when it comes to administrative tasks. With Wild Apricot you never have to worry about outdated, inaccurate, or duplicated entries. 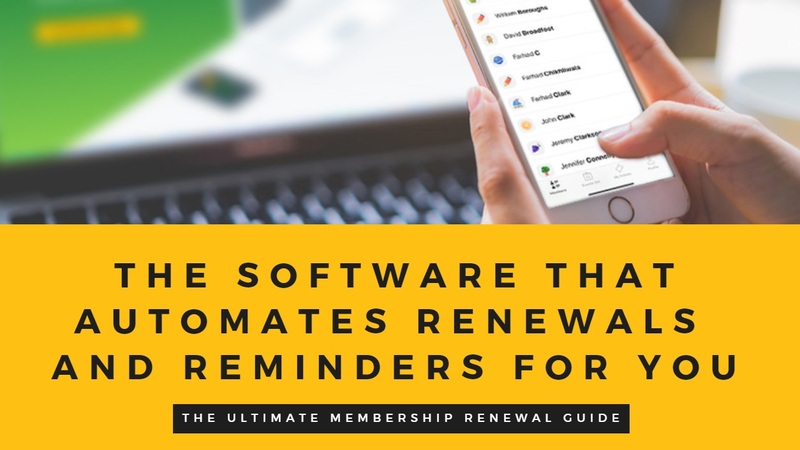 Plus you can automate the whole renewal process, from collecting and processing dues online, to automatically sending out email reminders. If you are only sending out one notice and/or an invoice, but are not finding this too successful, it may be time to consider additional renewal notices – if so, think about varying your communications methods and messages as suggested below. If you are using Wild Apricot’s automated renewals, you can set up customized emails, varying the message in each communications piece. From the survey data, we discovered that between two to three renewal reminders are most commonly used. As a general rule of thumb, we find organizations are okay with sending continued reminders as long as the revenue generated from dues outweighs the cost of sending the reminders (time, money, annoyed members, etc.). It’s interesting to note that phone is still in the mix. In fact, the Marketing Benchmarking Report report found that associations with the highest renewal rates employed phone calls as part of the process. This isn’t a surprise to us, because nothing beats a personal connection. Your Renewal Cycle: Is it an annual cycle with all members renewing at the same time, or is it a rolling cycle where each member renews on the anniversary date based on when they joined? With annual cycles, you need to reach every member simultaneously – which means you might want to employ a multi-channel approach to ensure you get each member's attention. For rolling renewals, you can set up (and test) a series of communications and send these automatically to each member based on their anniversary date. 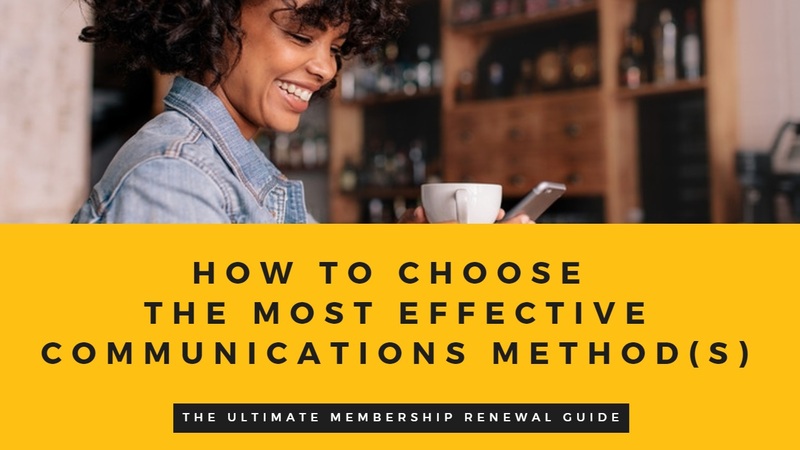 Your Members’ Communications Preferences: For example, if the majority of your membership has indicated that they prefer email, that is a great communications method to use. If, however, you have a large member component that prefer to continue to receive hard copy communications via mail, then you may need to focus your efforts on a direct mail campaign, possibly with telephone follow-up. Email renewal notification: If you offer online renewal and payment processing, it would seem to make sense that your initial renewal reminder would be via email – with a link to and clear instructions on the online renewal process. Reminder letter via mail: Next, for those who do not renew after the first email notice, you could send a direct mail letter. Depending on your processes, this letter might include an invoice and also offer instructions for optional online renewal and payment (e.g., include the URL). A phone call: A phone call from staff and/or volunteers can be a powerful final step for those members who have not renewed after the first two notices. This offers an opportunity for your staff, board members or renewal/recruitment volunteers to address the member’s questions or reservations first-hand. Missing the Warm Fuzzies ...When the time comes for renewal, the ‘ask’ can start from a place of conversation and appreciation. Thanking the member for their ongoing participation, recognizing that their affiliation with the association has made it a more rich and vibrant community. With the help of members, some highlights of what has been accomplished, and what the association is looking forward to in the year ahead. Of course the renewal process isn’t complete until you’ve acknowledged and thanked the member for their renewal payment. This is an important final step. Luckily, most Association or Membership Management Software (such as Wild Apricot) offers automated, customizable renewal confirmation emails. 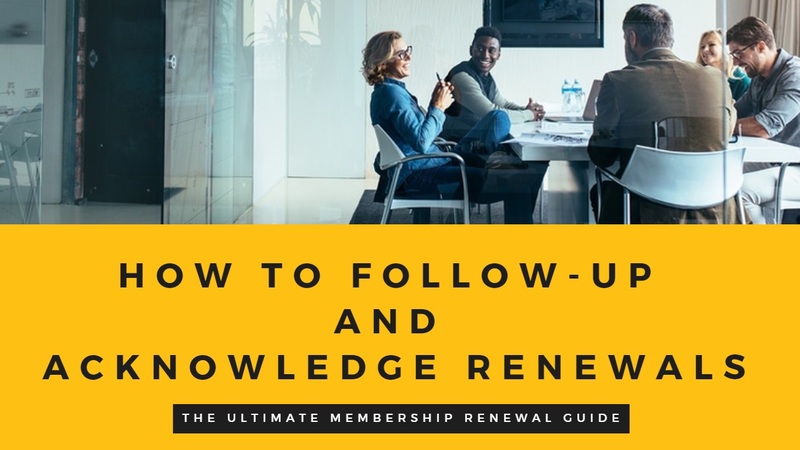 But as we note in the final section of this guide, your renewal communications, including the thank-you email or letter, should be considered as part of an on-going, year-round membership communications continuum – with consistent key messaging of thanks for their support and appreciation for their continued involvement. While renewal reminders may talk about accomplishments, your thank-you note might include details of upcoming activities or issues that demonstrate the value of membership and prompt ongoing participation. Just remember, there’s nothing worse your members can experience than paying their dues and not feeling appreciated. To combat this, many organizations set up automated “thank you” pages and receipts for online renewals, or send personalized “thank you” letters in the mail. This concludes the section on how to set up renewals for your organization. In the following sections, I’ll cover some popular ways to make the renewal process more effective for your organization. The Marketing Benchmarking Report found that associations that offer an early renewal discount were more likely to see an increase in renewal rates over the past year. In addition, they found that associations with renewal rates of 80% or higher were significantly more likely to provide an installment renewal plan, with monthly or quarterly payment options. Another idea we’ve seen work well to encourage on-time renewals are contests. Here’s an idea for a contest that I saw on a professional association’s website. The full contest promo piece appeared in the "Members Only" section of their website and when it was live (ahead of their annual membership date), it counted down to the organization’s annual renewal deadline. Whichever strategy you try, our top advice is to test the effectiveness of it. Don’t implement an early bird discount incentive if you find it’s not actually worth the return on investment, or people aren’t taking advantage of it. The point is to find something that works effectively for your members. 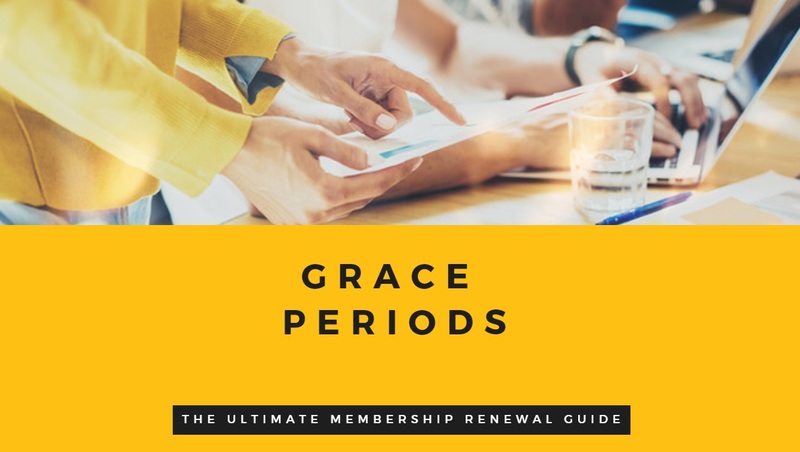 A “grace period” is an agreed period of time, following the membership expiration date, after which if fees are not received the membership is considered “lapsed” or terminated. Most of the organizations we surveyed implemented a two-month grace period for their members. If you’re wondering whether you should implement a grace period, there are a number of factors involved with deciding on the optimum time frame. The real issue comes down to whether you continue to offer member benefits – such as admittance to member education, events, access to proprietary information or publications, etc. – or whether these benefits are denied until membership fees are received. It is a delicate balancing act between trying to keep existing members and bring back lapsed members while ensuring you are not short-changing paying members. In deciding on your grace period policies, consider looking at the average lapsed time for renewals and/or the actual success rate for reinstatement of lapsed members. You might also do some discreet investigation into whether members are aware of your existing grace period and whether this encourages some to postpone payment. One of the biggest complaints I hear from membership managers is how much time it takes to process member renewals by hand. Fortunately a software exists that completely automates renewals for you so you never have to lift a finger again. It's called Membership Management Software and it do much more than automate renewals. Membership Management Software is an all-in-one management solution for any type of membership organization. It completely automates new member and event registrations, website updates, database updates, finances, newsletter emails, and more. It saves some organizations up to 20 hours a week in administrative work. Our key takeaway from our online research review is that membership renewal isn’t just about a once-a-year procedure. It’s critical that you continue to deliver value in accordance with your members’ expectations. One way we’ve seen this done is through sending 6-month, or yearly surveys to all members and ask how the association is doing, and what additions they’d like to see in terms of member benefits. 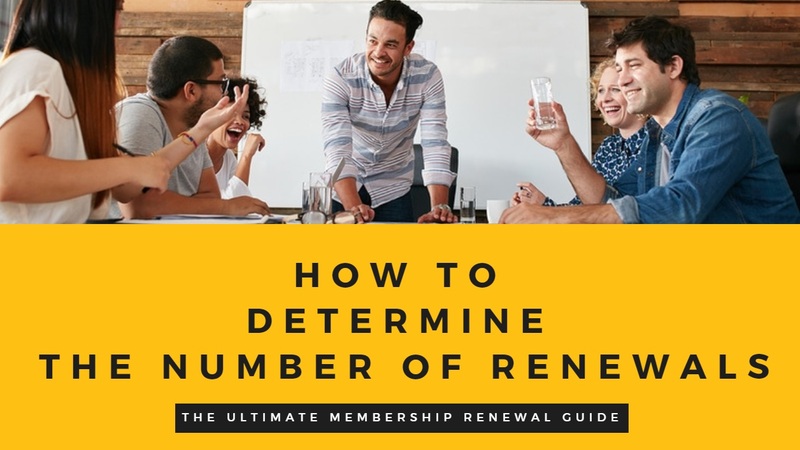 It’s therefore crucial that you clearly identify the benefits of membership and the value individuals place on their membership and convey this in all of your renewal communications. Do you value your members input? 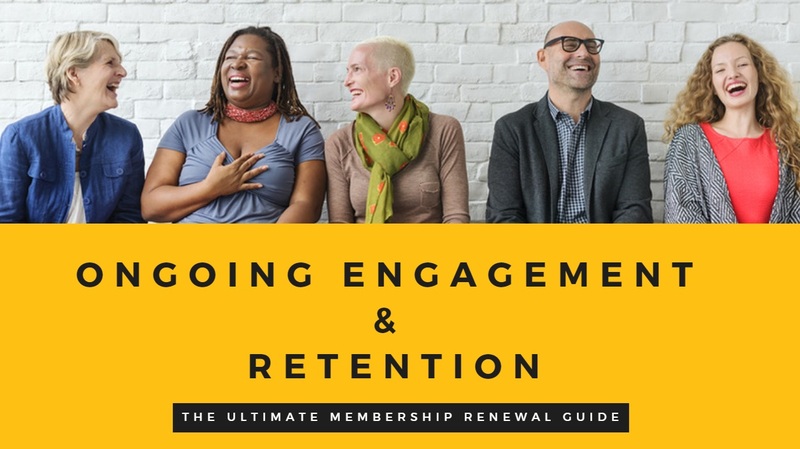 And if you're looking for more tips on engaging and retaining members, we've written up a great guide called 12 Practical Ways To Engage and Retain Members in Today’s World. 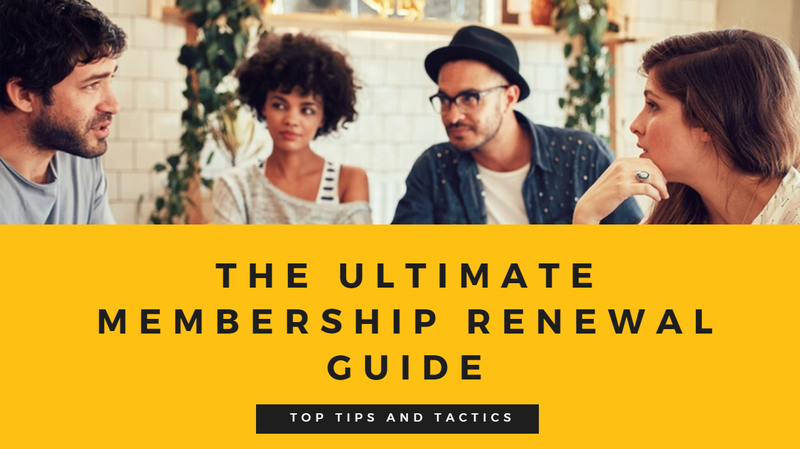 We hope this guide offers some food for thought as you prepare to roll-out or refresh your membership renewal strategy for the coming year.